Azolyl benzothiazine carboxamides were prepared from benzothiazine carboxylate and azolyl amines in the presence of NaOMe under ultrasonication. 4-Bromothiophenylimidazolyl benzothiazine carboxamide (19b) and 4-bromopyrrolylimidazolyl benzothiazine carboxamide (22b) showed cytotoxic activity on HeLa cell lines (IC50 33.75, 47.52 µM) and MCF-7 cell lines (IC5031.75, 34.35 µM). Furthermore, methyl-substituted furanyloxazolyl benzothiazine carboxamide (14a), furanylimidazolyl benzothiazine carboxamide (16a), thiophenyloxazolyl benzothiazine carboxamide (17a) and pyrrolyloxazolyl benzothiazine carboxamide (20a) exhibited antioxidant activity greater than ascorbic acid. Azolyl benzothiazine carboxamides are prepared from benzothiazine carboxylate and azolyl amines. Optimization of reaction conditions is established using different molar concentrations of NaOMe. Compounds 19b and 22b showed cytotoxic activity on HeLa cell lines and MCF-7 cell lines. Compounds 14a, 16a, 17a and 20a exhibited prominent antioxidant activity. 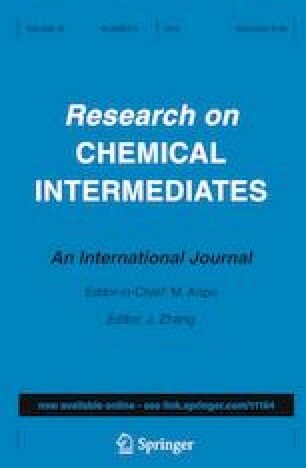 The online version of this article ( https://doi.org/10.1007/s11164-019-03778-4) contains supplementary material, which is available to authorized users. The authors are grateful to the Council of Scientific and Industrial Research (CSIR), New Delhi for financial assistance under a major research project.